Watching our children discover the world and how it works is truly delightful. Everything is new. Everything is interesting. Everything is open to enquiry. As their mobility increases, their small horizons expand. And as much as it keeps us on our toes, watching their curiosity in action makes me want to go back and rediscover it all again, as if for the first time. To see the world through fresh eyes. In an information-saturated world in which knowledge is just a Google search away, original discovery, as distinct from research, is rare. That’s why I’m so excited about today’s New Horizons Pluto fly-by. Today we enter uncharted territory. A tiny space probe launched ten years ago has traveled three billion miles (thirty times the distance from Earth to the Sun) to observe a planet the size of the USA for a few hours before flying off again in search of more distant objects. No closer exploration of Pluto has ever been conducted and already the images we’re receiving from New Horizons are stunning, revealing features that may be cliffs, craters, and a bright heart shaped feature. Like the Rosetta mission to comet 67P/Churyumov-Gerasimenko, New Horizons is a magnificent scientific and engineering achievement, revealing not just planetary features, but some of the best aspects of our humanity’s immense capacity for good – to go beyond mere survival, to create, to explore and to inspire. 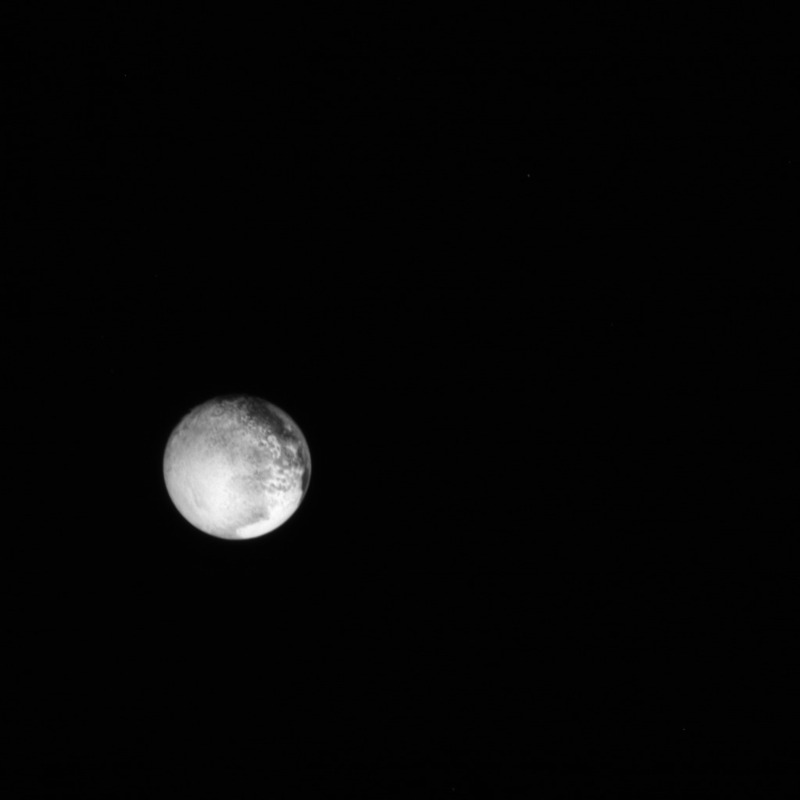 The data and images collected by New Horizons will be entirely new. No one knows what we will discover. In some sense, on this day of discovery, we who watch are like the little child again, taking the first steps towards a new room in search of what lies there. While many of us can’t be physically young – and I much prefer walking to crawling – we can experience the child-like wonder of exploring new horizons again.